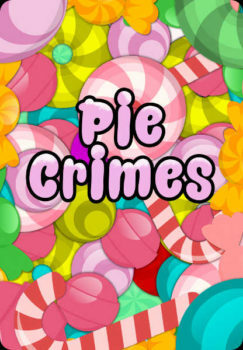 You’re all playing bakers in the Candy Kingdom. Every turn, every player decides to cooperate or advantage themselves. It’s the Prisoner’s Dilemma, made into a game, and played over rounds. Who Wants It: Play groups of 3-5 people who want to play a game a few times in a row. Age Range: Ages 5-up can play it, but bear in mind little kids playing it will probably be playing basically random. Short, fast rounds of memorising the stack of cards put down in front of you. You’re all playing speakeasy dwellers deciding who goes out and beats up the Ruffians outside. Who Wants It: Player groups of 2-5 people who like memory games. Age Range: Ages 5-up can play it, but odds are good that a kid in the play pool will shorten the rounds and maybe lose a lot. 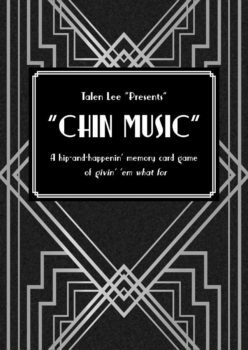 It’s a hidden movement/stealth game for 3-5 players, designed to be played in a tiny space. If you do train journeys and want to play a board game with a bit of a space around you, this is a game for you. You can play it with a notepad and pen, in a race against your own battery life. Who Wants It: Player groups of 3-4 people who like stealth games and want to bluff and fool one another. Age Range: You want players who can handle object permanence and the idea of tracking an unseen object, so 10+ is a good mark. A nearly unwinnable trick-taking game of trying to use a tiny scrape of information, You Can’t Win is slick, fast, and played simultaneously. You’re all trying to exclude your opponent’s options for winning, while making sure you don’t ruin your own chances of winning, with two wild cards in the mix to make everything worse. Handles up to seven players. Who Wants It: Extremely, extremely process-driven players who want to construct and solve an incredibly difficult puzzle. Age Range: Ages 5-up can play it, but they’re not going to like playing it given how incredibly difficult it is. Do you like hidden-role, bluffing identity games but don’t like them taking 40 minutes during which some players just have to sit and wait? Do you hate the waiting and the slowness when what you want to bite into is the question of who’s lying and why? 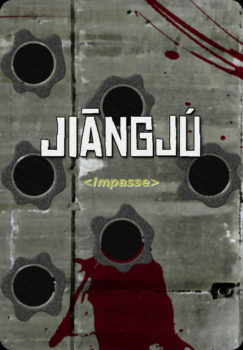 In Jiāngjú, you’re all playing crooks or cops in Hong Kong, at the final moment of a dramatic high-octane action movie! You point finger-guns at one another, try to argue over who should point at who, and as you change targets, the stress ramps up. Then when the stress hits its limit? Snap, everyone fires. 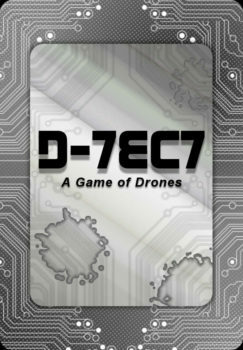 The game can handle up to eight players. Who Wants It: People who already like games like Werewolf but needs something faster. Age Range: Ages 10+, if you’re okay with the kids pointing fingerguns at one another. This is a real-time game about kicking a junky rover around the tabletop trying to pick up a single victory condition. Players are all holding a uplink card that lets them control their rovers, and if they lose contact with that card, their rover stops. The problem is, there’s only one uplink card. 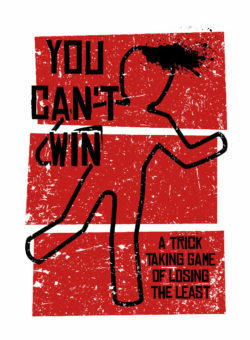 Handles up to six players, plays quick, and comes with variant rules for people who aren’t extremely mobile. Who Wants It: People who want to laugh and play with the physicality of the games. Age Range: Ages 5+. This game is definitively kid friendly. Who Wants It: Pairs of people who want to play a game about reading one another and anticipating movements. Age Range: Probably anywhere 10+. 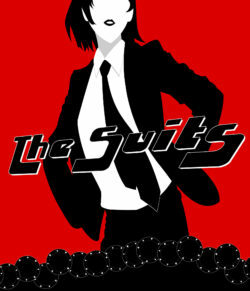 Following up on Dog Bear as an introductory RPG using card games, The Suits builds on it and tries to use its mechanics to teach people how to run RPGs rather than just play in them. It’s designed to make the process of DMing interesting and about cycling the control of the game around. Who Wants It: RPG groups that want to make things inclusive and accessible to people, improv fans. 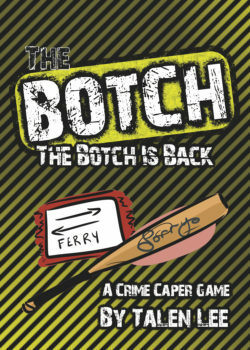 The Botch and its expansion are brewer games, games where you have control over how it’s set up and that changes the way the game works out. It is a game that can fail – it’s possible players get into a gameplay loop where nobody can win any more, and that’s a problem, and one the game has to get rules to fix. But! 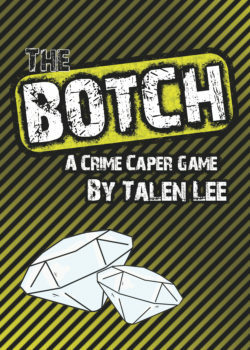 The basic gist of the game is still a rollicking lie-em-up where you’re all trying to collect diamonds, discern each other’s plans and maybe if things get to hard, shoot each other. Who Wants It: Mid-sized groups, 5+ people, who want to be able to deal in new people, change up the game experience, and like the absurdity of stare-down bluffing. Hey, do you wish Cards Against Humanity was about making fun of kickstarter ideas that get out of hand? Same basic idea. The winner is meaningless but the play is the fun. 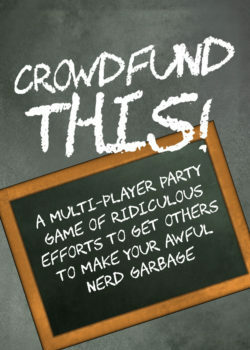 Who Wants It: You need at least 3 people, and you need people with a creative idea of integrating silly card text with the way the game plays out. 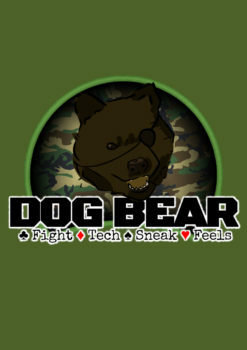 Dog Bear is a Metal-Gear inspired silly game of short improvised RPG sessions. It’s als available as a PDF for $5. 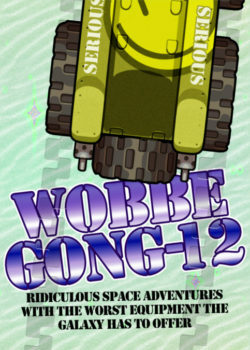 Who Wants It: Mid-sized roleplaying groups, who want a fast single-session comedy game. 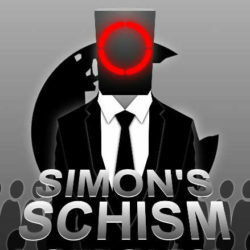 Much in the vein of Werewolf and Resistance, Simon’s Schism is a small-group game for 5+ players who want to play a hidden role game without specialised cards. 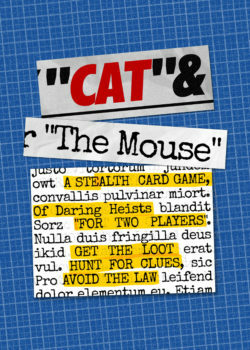 Players will be either sycophants to Simon’s regime or rebels or collaborators, and the whole game can be played with an ordinary deck of playing cards. Who Wants It: Hidden role/identity game players who don’t want the focus pulled onto one person.